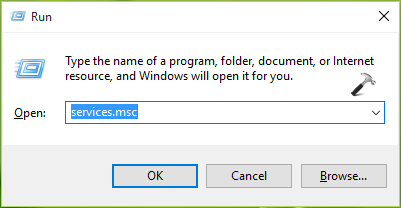 If you can't create new HomeGroup on Windows 10 due to "Windows can't set up a homegroup on this computer" error, then this article will help you to fix it. Windows can’t set up a homegroup on this computer. Windows no longer detects on this network. To create a new homegroup, click OK, and then open HomeGroup in Control Panel. In some scenarios, even if the earlier created HomeGroup is recognized, users can’t leave or delete that. So how to overcome this problem? Well, here are some fixes you can try and see if they helps you. 2. Moving on, in the Services window, scroll down and look for the Peer Name Resolution Protocol service. Since you’re facing this problem, the service might not be running. Double click on the service. 3. In the service property sheet shown below, click Start. Hit Apply, OK.
Once you started this service, you can re-check the status of problem. It must be resolved by now, else refer FIX 2. Windows could not start the Peer Name Resolution Protocol service on Local Computer. Error code: 0x80630801. * Substitute C: with your system root drive. AppData is hidden folder here. 2. In the File Explorer ribbon, switch to View tab and check File name extensions option. Then locate the idstore.sst file inside PeerNetworking folder. You have to delete this file. If you want to backup the file before deleting it, renaming it to something else, like idstore.old.sst. Once the file is deleted, close File Explorer, reboot and the problem is gone away. Hope this helps! See this fix if HomeGroup Provider Service is not running on Windows. I tried this and it didn’t work. It still says that I nave created a HomeGroup on my computer, but I can’t delete it or add to it or set up a new one because I don’t have the password. This does work. It should mention in the article that you need to reboot TWICE to get the changes to take effect. Reboot once and wait for the computer to create a new file (the one you deleted in fix #2), then once the file is there, reboot again. You should then be able to create a new homegroup. This fix worked for me. Thanks!! My problem is it won’t accept the old work group pass word. I need to delete my old home group and start a new one. Can’t find where I can change pass word, keeps going back to join the existing home group and it doesn’t accept the pass word. I have done it twice now by the book as you say and it doesn’t work. Same old work group and pass word and it doesn’t work. Microsoft screwed it up so why don’t they come out with a patch that fixes it. I have spent hours trying to repair their product. Microsoft gives us the work group application then they take it away. I guess I’ll have to go back to windows 8 and 7. Darn shame to promote windows 10 and have it to be one of their worst nightmares for messing up everyone’s computer. Agree with Nick. I think Microsoft has Apple stock. Don’t have any files in the peernetworking folder. the folder is empty. so, what if I don’t find idstore.sst in the peernetworking folder, even though I’ve made sure that the hidden items box is checked? I tried to follow your instructions above about fixing my problem of being unable to start my second homegroup computer. I have a homegroup correctly set up on computer 1, but cannot join the homegroup from computer 2. I used the same password. Fix 1 did not work. When I tried fix 2, I cannot find the IDSTORE.SST file you want me to delete, because I cannot see any files within that folder?? With both the extension option and the show hidden files option checked, my file explorer shows no files within that folder. Same problem as John D and Mike Geier. Folder is empty. Now what. From fix 1 I get an error 0x80630203 not 0x80630801 but with the same description, windows could not start the peer name resolution protocol. My Asus Laptop doesn’t have a file in therelevant peer group etc folder. I still can’t set up homegroup. What now? PeerNetworking folder is empty for me as well. nothing has worked yet for me either!!! Windows so needs to get something out of their backside and fix this BIG issue! Darn, didn’t work. I am having the same problem in Windows 7/64. I’ve been doing computers for 40 years. Have never had this problem. Can’t seem to find a solution that works.